77. 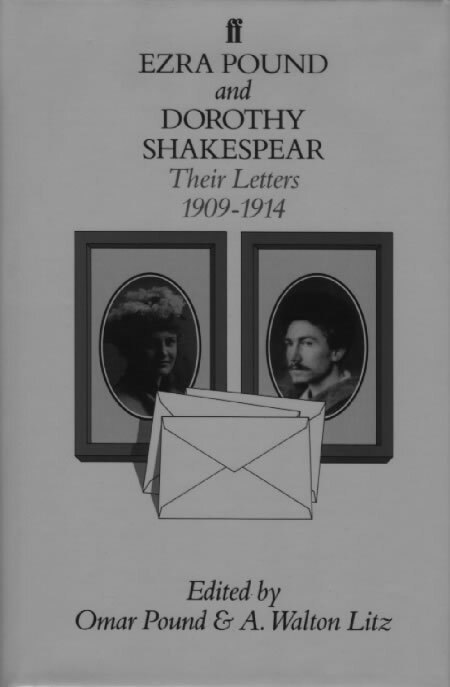 Ezra Pound and Dorothy Shakespear: Their Letters, 1909-1914. Edited by Omar Pound and A. Walton Litz. New York: New Directions, 1984.
Letters e -h were written from Stone Cottage. a. 24 or 31 August 1911. Pound discusses a letter and two volumes of poetry he has received from Noguchi (see especially D15a), notes that ‘his poems seem rather beautiful’, and quotes at length from two. One of the books in question is The Pilgrimage (D15e4). For Pound’s response to the Noguchi’s letter see 82a1. b. 4 January 1913. Pound writes that he has recently ‘contemplated’ the medieval Japanese prints at the British Museum and as a result feels ‘ages older & wiser’. While in the Print Room he spoke with ‘Bin-Bin’ (Binyon), who lamented that the British Museum ‘will never have a collection comparable to the “Fuller” lot [i.e., the Freer (Ap) collection] in the U.S.’ See also d below and BC34a. d. 11 October 1913. Includes reference to Aston’s History of Japanese Literature (see D13) and to several further meetings with Mary Fenollosa. e. 16 December 1913. Includes Pound’s earliest mention in the published record of his work with the nô: ‘I have cribbed part of a Noh (dramatic eclogue) out of Fenollosa’s notes. The Eagle [Yeats] calls it charming.’ An editorial note suggests that the play to which Pound refers is Kinuta (13c). f. 6 January 1914. Pound refers again to his work with the nô: ‘I have done the 1st part & a bit more, of a longer Japanese play [NISHIKIGI (8)]. Prothero [editor of Quarterly Review] has accepted “Kinuta” [13c] & Fenollosa’s essay  for the Quarterly—I hope to get The Feather-Mantle [Hagoromo (13d)] in, also’; though he has recently been at work on revisions of Lustra (see 20), Pound believes that he ‘would be better employed doing Nishiki-gi’. g. 12 January 1914. Pound writes that he has ‘found some consolation in Brinkley’s book [D14] about listening to incense, vol. III, oriental series, re/Noh & japanese diversions’ (see also 17b and 45a), and that he finds the ‘oriental room’ of the British Museum ‘a much pleasanter place to work than the “reading room”’ (see also b above and BC34a). h. 14 January 1914. Pound’s nô work for Quarterly Review (13) is ‘about finished . . . except for a few corrections in ‘Hagoromo’.